The wife of former President Goodluck Jonathan, Patience, has been accused of sponsoring protests against the Bayelsa State Government over the state’s decision to allot the Bayelsa Palm for herdsmen operating there. 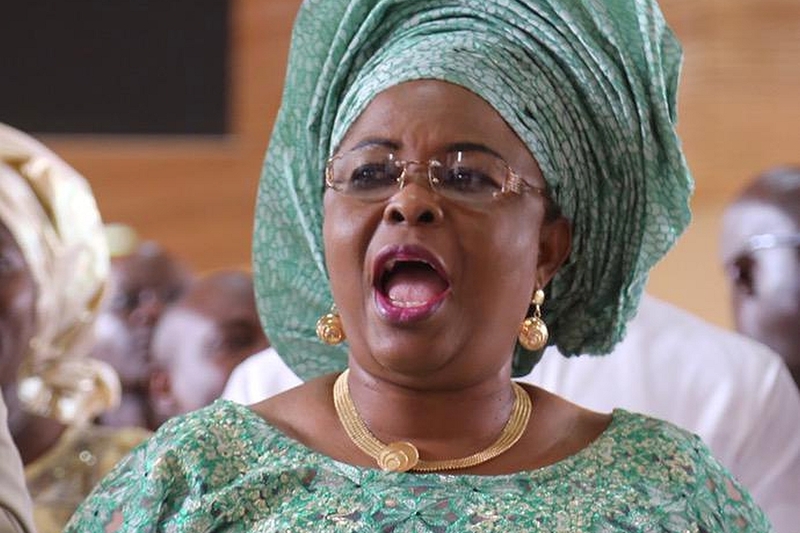 A group, the Ijaw Patriots, in a statement in Yenagoa, the state capital, maintained that the ex-First Lady was behind Ankio Briggs’ rally in Bayelsa State last week. The Ijaw group stated that the decision of the ex-President’s wife to support a protest that might lead to the breakdown of law and order was not only insensitive, but done in bad faith. The Executive Secretary of the Ijaw Patriot, David Lawson, who signed the release on behalf of the group, said the action of the former First Lady was condemnable and must be resisted by all well meaning Ijaw sons and daughter. According to the organisation, Dame Jonathan’s sponsorship of Briggs was hinged on her selfish interest to avoid paying taxes to the government on her own herds, being the owner of over 500 cattle in the state. It noted that restricting the movement of the cows to the area provided was not only a strategy against any unforeseen clashes between herdsmen and farmers, but would also help boost the Internally Generated Revenue of the state. The group said: She owns 500 cattles and the protest was to ensure she does not pay tax per head of cattle as part of government’s decision to restrict herdsmen and their cattle to the Bayelsa Palm Area for grazing. The group described the act as irresponsible and unwarranted and warned the former First Lady to steer clear of Bayelsa State in the interest of peace and public sanity. The socio-political organisation also condemned attempts by Briggs to lead the protest “after collecting huge sums of money from Dame Patience Jonathan to incite citizens in a protest against the Bayelsa State Government”. It called on all true Ijaw sons and daughters to resist any attempt to set them against each other, noting that it would not augur well for the badly needed cohesion required to advance the progress of the Ijaw people. The Ijaw Patriots said: “We call on all Ijaw sons and daughters to join forces with government to keep the peace in the state rather than allow some people use their own selfish interest to destroy the state.